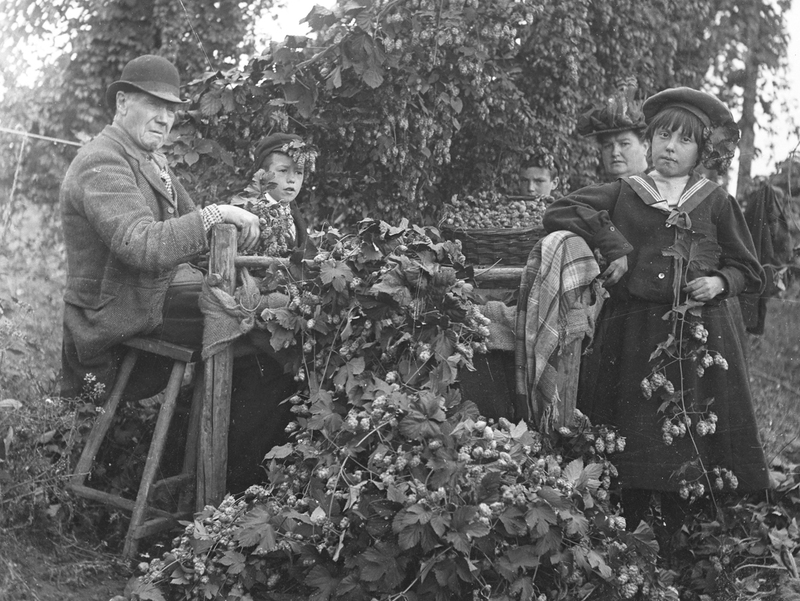 During the 19th and early-to-mid 20th century thousands of people from Birmingham, the Black Country and South Wales used to travel to Herefordshire and Worcestershire every year for the hop picking season. This was their annual ‘working holiday’ (approximately six weeks in September/October). 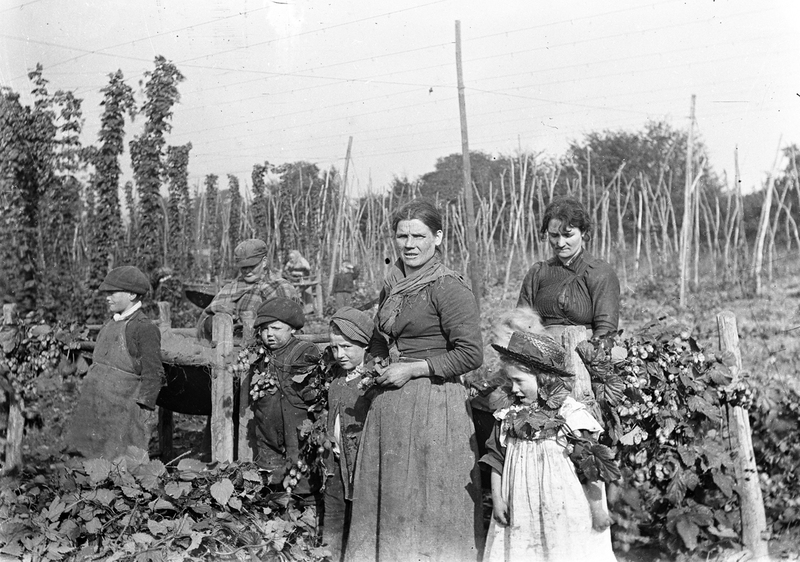 This migration ended with the introduction of hop picking machines, the standardisation of school holidays formalised in Education Acts, the demise of a local railway infrastructure, competition from foreign hops and the devastating effect of the hop disease, verticillium wilt. 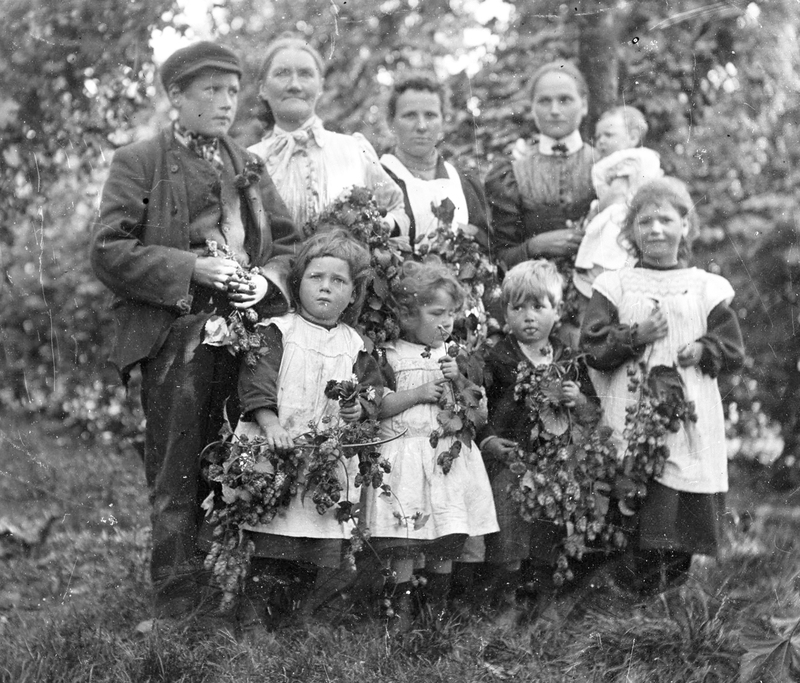 Before the days of mechanised farming, hop picking was a labour intensive process, requiring a significantly greater number of people than were available locally. 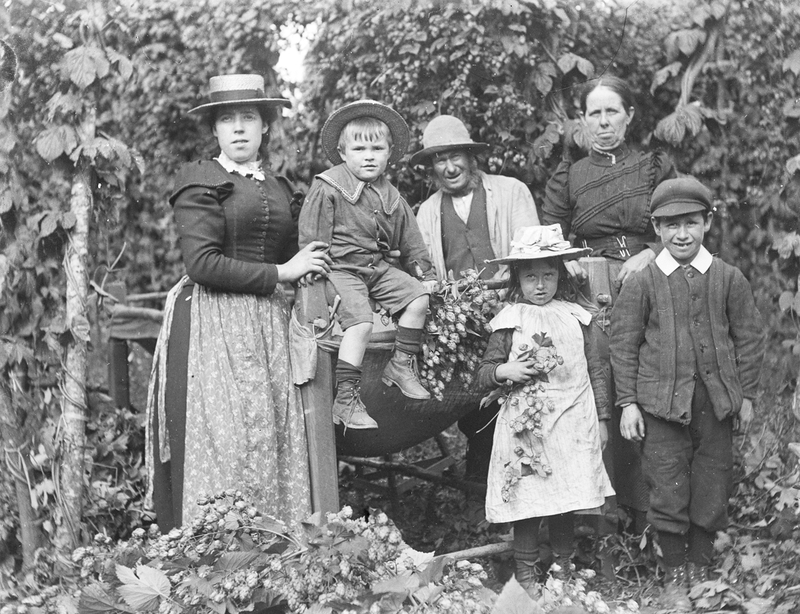 The Black Country and the Welsh Valleys, from where Herefordshire and Worcestershire farmers drew their workforce, were industrial areas where, despite the low wages offered, women, children and unemployed men welcomed the opportunity to leave the industrial areas where they lived and earn money in the open countryside. 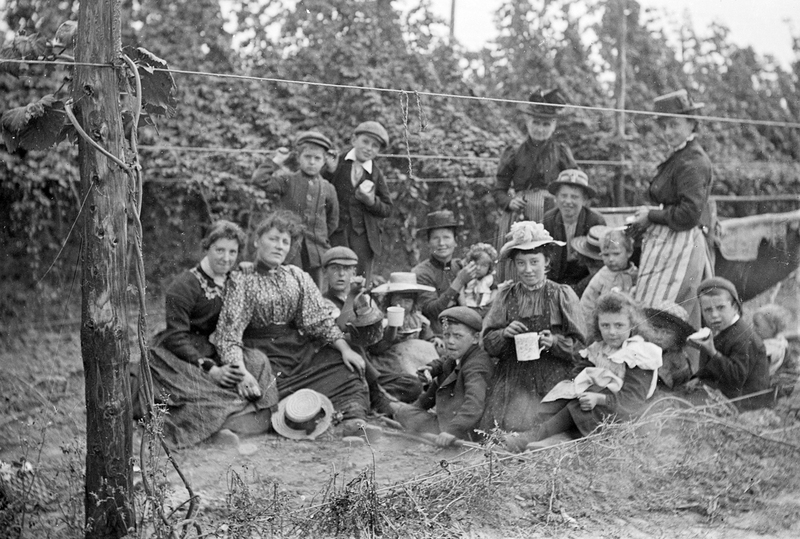 Hop picking also attracted many Gypsies, Roma and Traveller people who would time their arrival in the hop growing areas to coincide with picking season. Most growers built a long term relationship with their pickers, who would return to the same farms year after year. 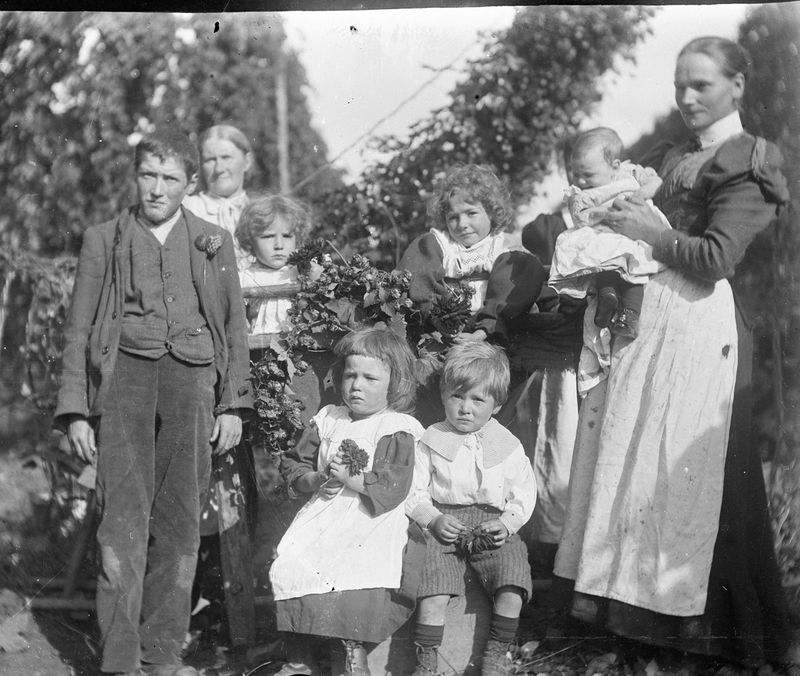 The larger growers would charter a railway train to bring their pickers to the farm and take them back home at the end of the season. 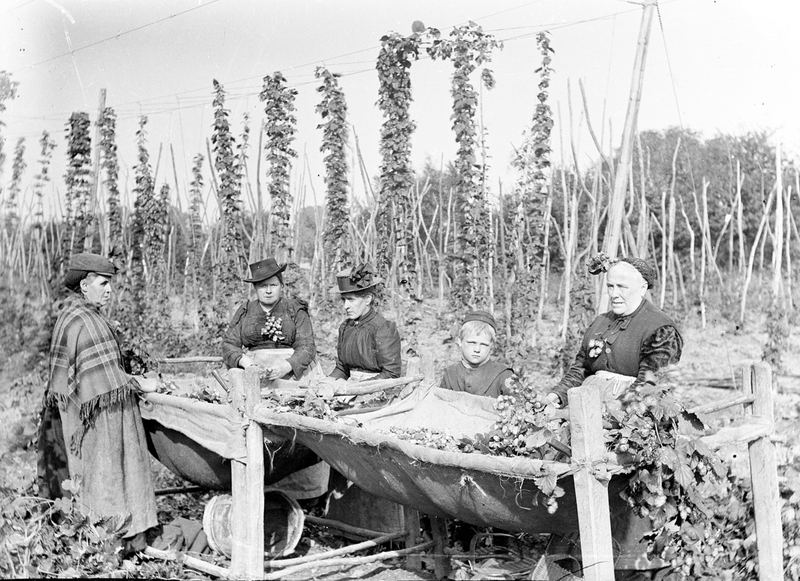 Workers were paid according to the quantity of hops they picked. The crop was picked in a ‘crib’, where a wooden frame held open a hessian-covered receptacle around eight by four feet long. The picked hops were measured in bushels and tipped into a sack for transport to the kilns for drying. The number of bushels picked was recorded by the picker on a tally stick. This was later matched to that held by the tallyman and a notch cut on the edge of both.